The Samsung Galaxy S9 and S9+ have been out for a while now. What is the most attractive feature to you? Is it the face recognition technology, the revolutionary camera that adapts like the human eye, the augmented reality that turns your selfie into an emoji or the exquisite design? All of these features above are fascinating. But let’s concern ourselves about a more practical issue, the battery life. From the official specifications, the battery capacity of Samsung Galaxy S9 and S9+ are 3000mAh and 3500mAh respectively, which can endure up to 12 hours and 15 hours of use. But we all know that Android phones always have apps running in the background that consume more power than necessary. We’re also constantly spending more time on the screen which gets brighter and better each year increasing power consumption. 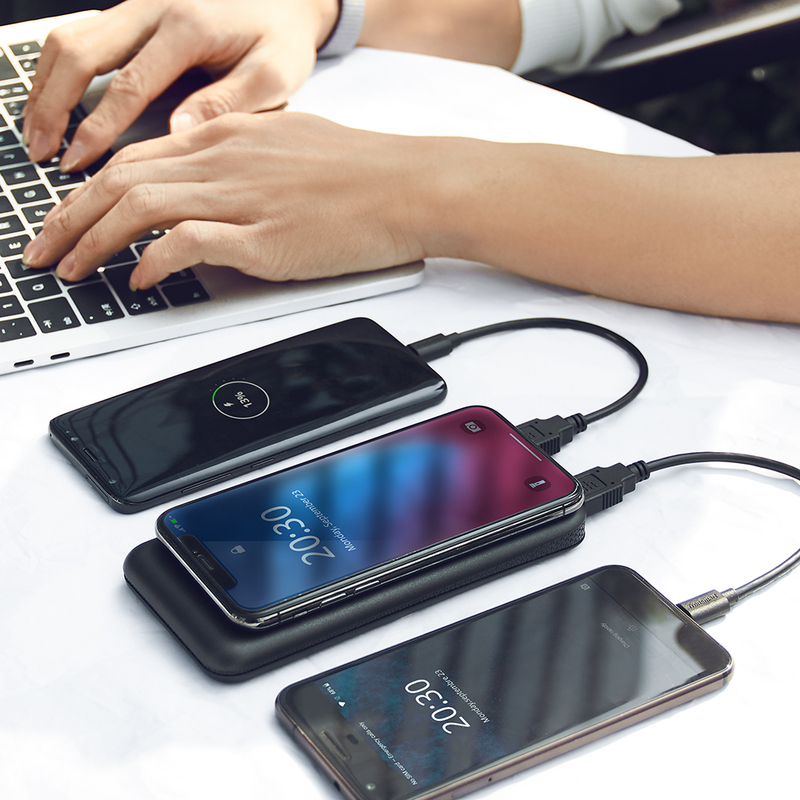 Therefore a powerful portable charger is necessary for keeping the Samsung Galaxy S9 and S9+ running throughout the day. Both Samsung Galaxy S9 and S9+ are capable of fast charging, and Samsung’s protocol (Adaptive Fast Charge) happens to be backwards compatible with Qualcomm’s Quick Charge 2.0 technology as well. This means that other than using the fast charger included with the smartphone itself, you can also buy a third-party fast charger and it'll work just fine. So, today let’s make a simple comparison between wired and wireless charger to help you select what kind of the charger is the best for you. The wired charger includes wall chargers, desktop chargers, and USB portable chargers that are also known as power banks. With chargers there are always the issue of carrying cables. Sometimes you may forget to bring a cable with you when you’re in a hurry and unable to charge your phone when you’re out and about. Another issue is that cables tangle easily. Fortunately, a wireless charger can solve all these annoying problems easily. Not only will the wireless charger solve your cable problem, it will also make charging easier. You simply put the smartphone down on the surface of the wireless charger to start charging. There is no need to untangle cables and fiddle around trying to plug them in. 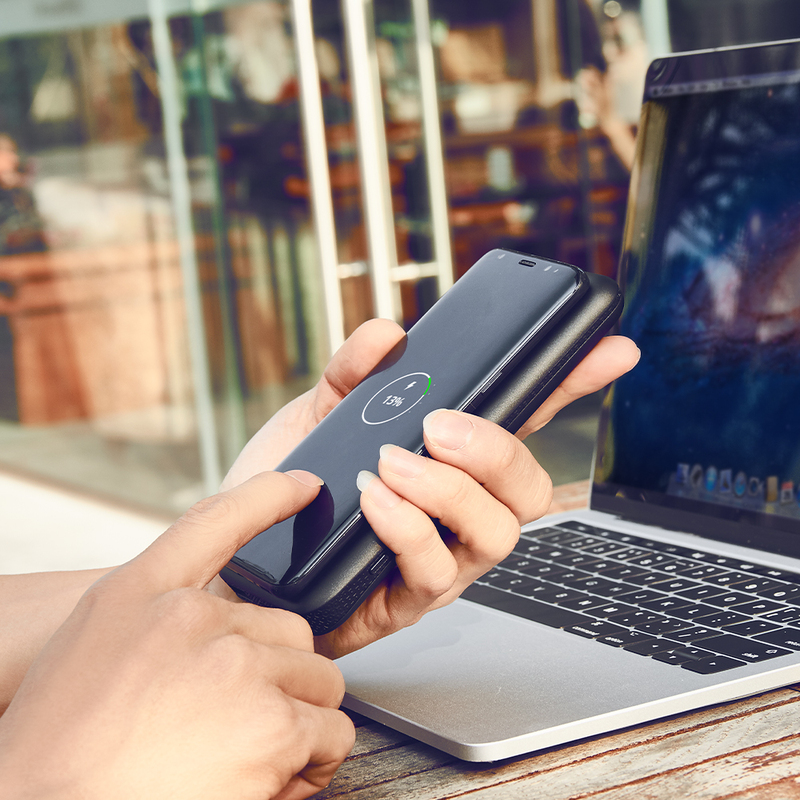 But there are two kinds of wireless chargers: one is connected with a charging cable to supply power for itself, while another is totally wireless, called wireless charging power bank. One common issue found with a lot of wireless chargers is heat dissipation. There are many chargers on the market that do not have any form of cooling, which can result in your phone overheating and shutting down. We recommend the Tronsmart AirAmp Dual-Coil Wireless Charger. It features an inbuilt fan that will keep both the charger itself and your phone cool while charging. Improving charging time and efficiency. It only takes 1 coil to charge your phone, however, dual-coil gives you more room on the pad, meaning you don’t have to be so precise in placing your phone on the charger. 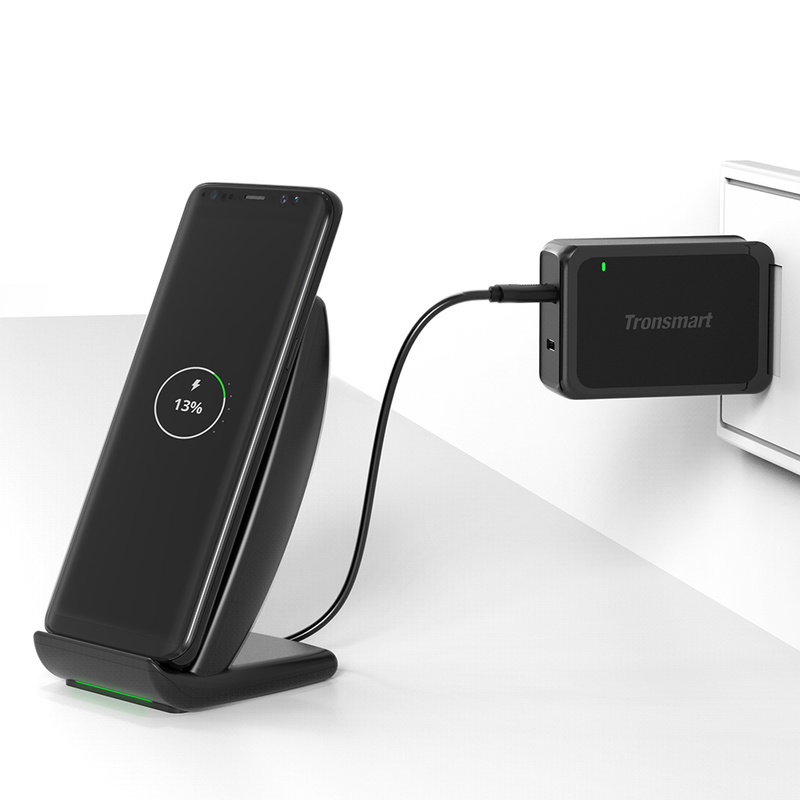 So if you intend on choosing a wireless desktop charger we recommend the Tronsmart AirAmp Dual-Coil Wireless Charger due to the better cooling and easier placement. One of the best parts about this charger is that it can support your Galaxy S9 or S9+ in landscape or upright mode. Perfect for watching movies or playing games In addition to the wireless charger, Tronsmart also offers a wireless power bank called Tronsmart AirAmp 8000mAh Hybrid Wireless Charging Power Bank. It’s a perfect companion for your Samsung Galaxy S9 or S9+ when you’re on the go.